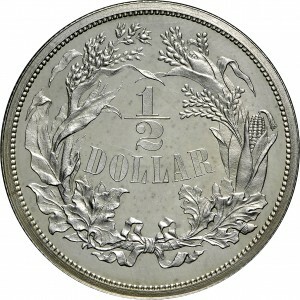 James Barton Longacre prepared this obverse die featuring a head of Liberty with a decidedly French influence. In the 19th century, R. Coulton Davis referred to this as the “French Head of Liberty.” Scholar Cornelius Vermeule noted the head of Liberty was influenced by the Apollo Belvedere of the Vatican. The reverse features a “cereal wreath” composed of cotton, tobacco, sugar cane, corn, wheat, and oak leaves. Mint Director James Ross Snowden commented that this reverse design was deliberately prepared to admit perfect striking of the head on the obverse. Snowden attributed the reverse design to Anthony Paquet. From Stack's ANA Sale, August 1971, Lot 448. 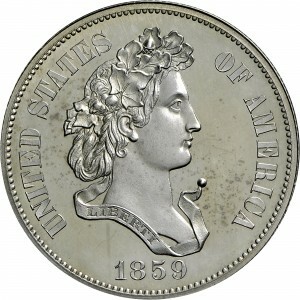 Bust of Liberty to right, oak wreath in hair, ribbon at neck reads LIBERTY, UNITED STATES OF AMERICA around, date below. This style was referred to as the French Liberty Head. 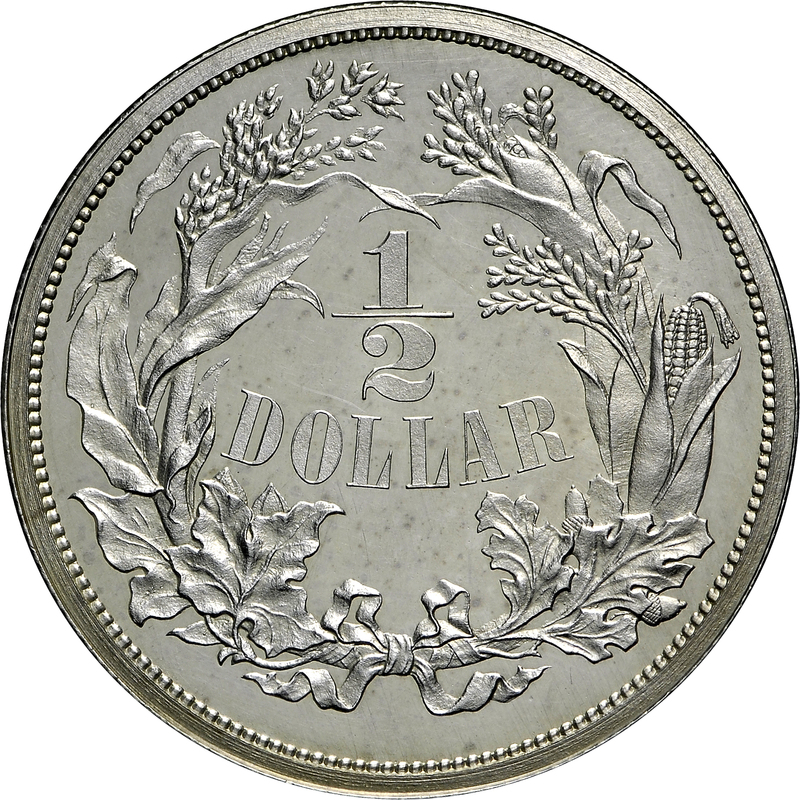 Wreath of cotton, oak, corn, tobacco, and wheat, secured at bottom, around 1/2 DOLLAR at center.